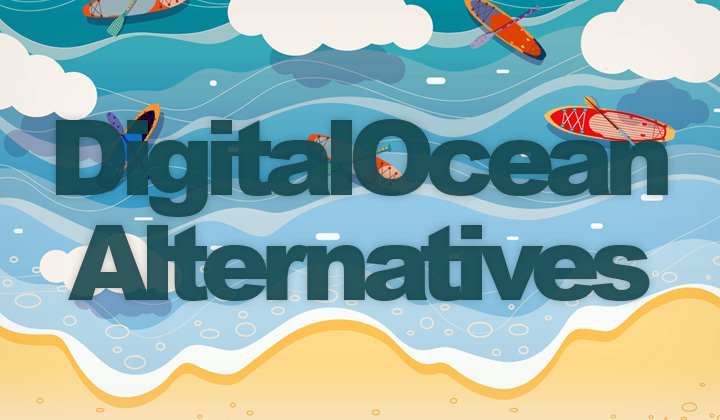 In this post, I’ve had a look at some of the best & cheapest DigitalOcean alternatives in 2019, compared their VPS droplets with other equivalents and similar sites. Yes. You can get quality virtual private server hosting, cheaper! Still interested in giving DigitalOcean a try, for free? See this post on how to get $10 account credit (credit card or PayPal account required). First of all, the guys at DigitalOcean have kept their pricing at a competitive below-average rate, so going any cheaper could be risky business. But I have no doubt that the guys at Vultr have managed to pull it off by offering virtual private servers starting from $2.50/month, with better specs. Click here for Vultr and their, cheap but advanced infrastructure cloud. Their datacenter family consists of servers in Tokyo, Singapore, Amsterdam, Paris, Frankfurt, London, Sydney and 8 locations in the US. Like the idea, but running your own server seems challenging? You could try Cloudways, a fully managed cloud hosting portal for DigitalOcean and many other, popular DigitalOcean alternatives. With tech-support. Easy hosting management interface, free SSL, monitoring, etc. Note that this is a whole lot cheaper than the cost of cloud VPS hosting with regular shared hosting companies, which can even be pseudo-VPS services. There are also self-managed but easy to use server management, web application deployment and server monitoring systems — such as RunCloud. It will work with any VPS that is running the Ubuntu Linux OS. Then there is good old Linode, which is a classic and very popular VPS provider famous for server performance, these guys are highly experienced. I wrote a guide on how to get $20 free credit on Linode here. Overall, I think there is no exact equivalent to DigitalOcean but Vultr definitely comes close as a much cheaper and most similar portal worth trying out. What do you think is the best DigitalOcean.com alternative? All questions and comments about VPS services are welcome indeed. Thank you for visiting my blog, Tim. And please be aware that sites like DigitalOcean.com and some others are affiliate with WebHostWhat. Meaning that I could potentially benefit from clicks from this site to theirs. This supports my efforts and helps to pay my bills. Big thanks! Next EasyAzon Review & Free Trial! Is Plugin Pro 4 Version Worth it?